To celebrate 25 years of the Premier League each week in Football Fancast we’re going to be looking back at a memorable game that took place on the corresponding date. This time out we revisit a comeback so iconic it has become a banter trope for our age. The climax to the 2013/14 Premier League season is so ingrained in our consciousness that it can be reduced to shorthand moments. We go again. The slip. Crystanbul. 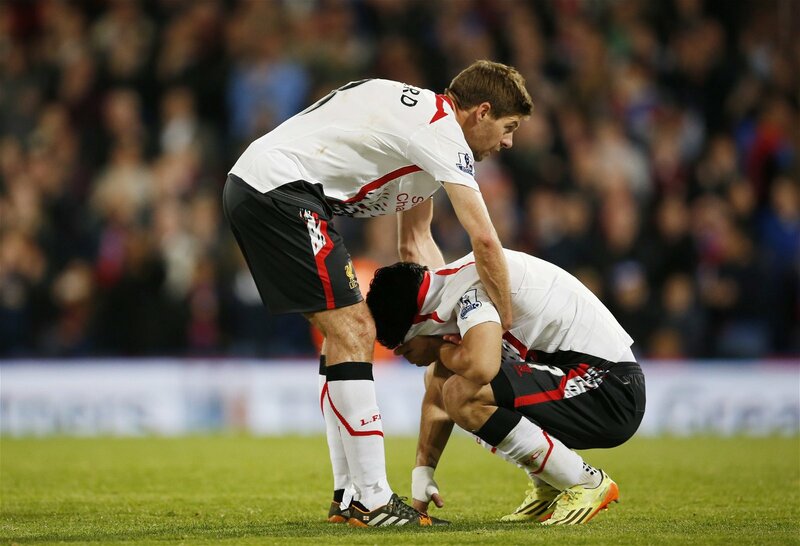 All of these iconic snapshots are designed to mock Liverpool’s snatching of defeat from the very jaws of victory. All of them adhere to the simplistic notion that it was the Reds who threw the title away that year and ignore the fact that Manchester City actually won it. These well-worn banter tropes also overlook that two sides gave us a never-less-than enthralling title race and produced such nail-biting drama by being magnificent throughout, tearing into opponents great and poor with attacking relish. Since the Premier League’s inception in 1992 only three sides have ever scored more than a century of goals in a single season. One was Chelsea in 2010. Another was City in 2014. The third was Liverpool, also in 2014. The latter was achieved via an abundance of goals from an unplayable Luis Suarez and many more besides by Daniel Sturridge and Raheem Sterling. Like in the present day they boasted a front three that terrified and more so their balls-out, gung-ho approach brought games that staggered. A 5-0 thrashing of Spurs at the Lane. A 6-3 at Cardiff and 5-3 at Stoke. Even so, as harsh as this may be, seasons are defined by their endings and when push came to shove Liverpool fell over. They stumbled. They developed a limp. No-one ever talks about the fantastic scenes in the first hour of The Usual Suspects, they only talk about the ending and here the twist was just as dramatic but with a polar opposite pay-off. The suave, confident Kevin Spacey walks from the police building and seizes up to a collective gasp from the audience. The ‘we go again’ line that so badly came back to haunt it’s originator Steven Gerrard had been exclaimed three weeks earlier in the aftermath of a momentous win over City. The ‘slip’ meanwhile was fresh in our memory and continuing to dominate our timelines having taken place only a week before with Mourinho still presumably grinning like a Cheshire cat. 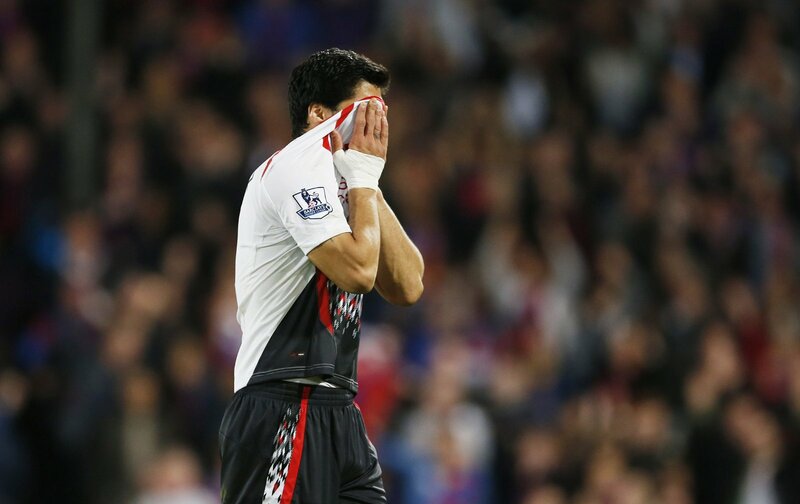 Now it was May 5th 2014 – four years ago today – and Liverpool headed to Selhurst Park with everything up for grabs. A reminder of where we were prior to kick-off. There were two games left apiece and Liverpool and Manchester City each had 80 points except the latter enjoyed a superior goal difference of nine. All four fixtures were against mid-table sides and this was the only one of the quartet that was away from Anfield or the Etihad. A win then was critical. A win was Brendan Rodgers’ base requirement. It would take the Reds three points clear and put serious pressure on their rival. Only that goal difference picked and picked at their bravado and with the assumption that City would prevail against Aston Villa and West Ham coupled with a sincere belief based on recent experience that they could blow away sides a victory became almost taken for granted. What Liverpool wanted was to score as close to ten as possible and eradicate City’s advantage in one fell swoop. By half time chances had been missed but the away side were a goal to the good with Joe Allen cleverly finding space in the box and heading in a Gerrard corner. Eight minutes after the break their lead was doubled with Sturridge scuffed one home and when Suarez fired in his 31st of the season the impossible dream seemed slightly plausible. “The game is won. Now it’s all about how many Liverpool can score,” the commentator intoned and judging by the Merseysider’s intent the answer would be a lot. Liverpool attacked relentlessly, committing men forward at every opportunity as they desperately sought a fourth that could lead to a fifth and from there who knew what might happen. Crucially they forgot about the long-held truth that Tony Pulis sides might well lose but they are never destroyed and never give up fighting. It simply wasn’t in the man’s nature and having steadied the ship in south London after a season of managerial disruption and inconsistent results the baseball-capped plotter made a series of substitutions to capitalise on the wealth of space now appearing in his opponent’s back third. With ten minutes to go Damien Delany blasted home a long-ranger from out of the blue and Liverpool frankly didn’t know what to do with that information. Do they stick or twist? They furrowed on regardless. 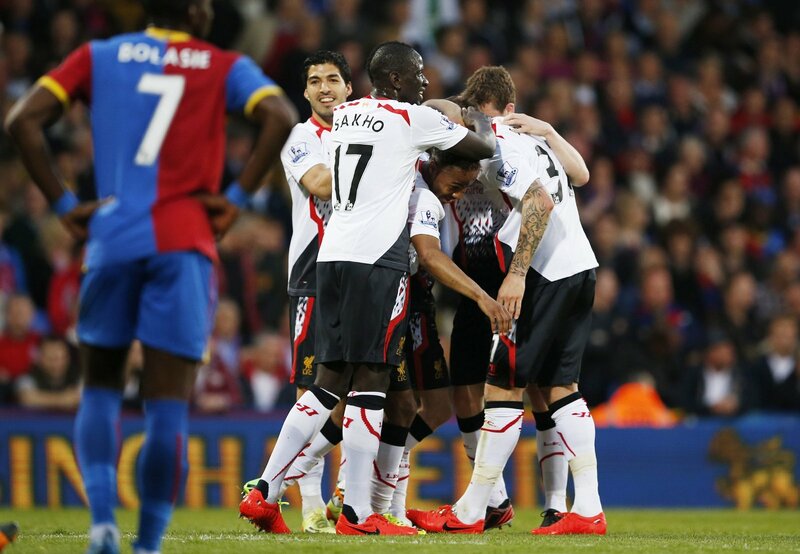 Two minutes later Dwight Gayle re-directed a low cross past Mignolet and the Liverpool defence became a panic station. Three weeks earlier the team, club and fan-base were riding the crest of momentum. Seven days earlier they had been flattened by reality. Now, having summoned up all of their bellicose belief again they were back to the canvass yet still ahead. Never before had a team so needed to find a central point of sense and reason but of course that cannot simply be conjured up at will. 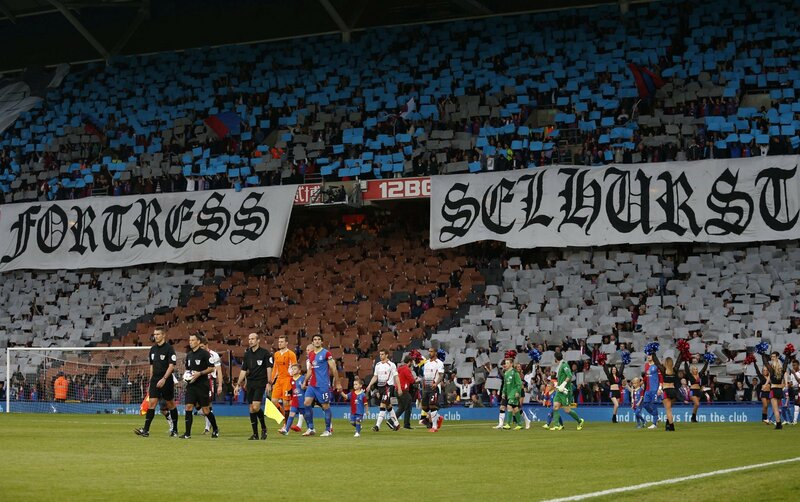 With a schitzophrenic strategy of holding on yet simultaneously ploughing forward perhaps it’s not surprising that Palace pulled off the shock of all shocks, leaving it until two minutes to go before Gayle struck again. It was a twist that held the nation spellbound. Manchester City duly went on to win their remaining two games to secure their second Premier League title. For Liverpool their quest continued. A point on the final day of the season was sufficient to secure 11th for the Eagles; a pleasing outcome considering they won only once from their opening eleven games.